Asiad Steels is one of the renowned manufacturers, suppliers and stockist of Inconel 625 Washers, which are manufactured from alloy containing nickel as base element containing chromium and Molybdenum with additions of aluminum and titanium. Inconel 625 Flat Washers are a family of nickel-chromium-molybdenum alloys used for their high strength at elevated temperatures and good corrosion resistance. 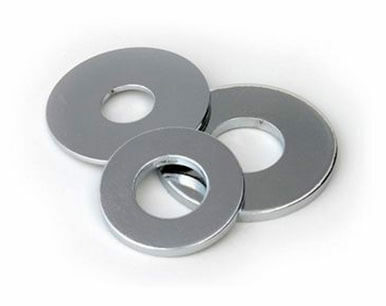 These Inconel 625 Punched Washers have a resin-like bonded coating, which offers lesser rate of friction and has excellent resistance to various chemicals like acids. 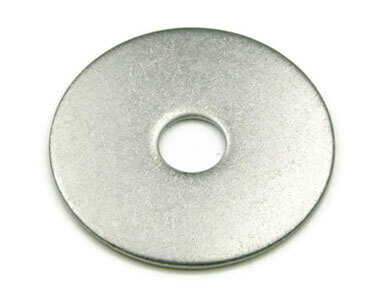 These Inconel 625 Machined Washers are manufactured utilizing premium grade raw material, which is sourced from reliable vendors of the market. 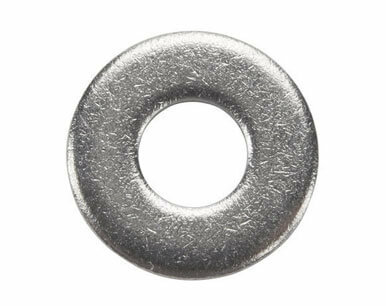 Inconel 625 Round Washers are used to increase the bearing surface of a bolt head or nut and distribute pressure away from the points of the hex or square. Product and technology applications of Inconel 625 Square Washers include: Pollution control equipment, Jet engine parts, Heat exchangers, and Pressure valves. Some typical applications Inconel 625 Spring Washers is also used in are chemical processing, aerospace and marine engineering, pollution-control equipment, and nuclear reactors. The strength of Inconel 625 Lock Washers is primarily a solid solution effect from molybdenum and columbium. Inconel 625 Spherical Washers resists a wide range of corrosive environments and has a good resistance to pitting and crevice corrosion. Inconel UNS N06625 Washers can be welded by both manual and automatic welding methods, including gas tungsten arc, gas metal arc, electron beam and resistance welding. Buy Inconel 625 Washers at reasonable rates from us. We are Exporter of Inconel 625 Washer in Worldwide Such as India, Sweden, Norway, France, Chile, China, Trinidad & Tobago,Tunisia, Lebanon, Ukraine, Austria, Belgium, Netherlands, Mexico, Tibet, Switzerland, Bangladesh, Bolivia, Ghana, Nepal, Iran, South Africa, Italy, Croatia, Nigeria, Gambia, Afghanistan, Morocco, Belarus, Puerto Rico, Hungary, Czech Republic, Iraq, Macau, Spain, Romania, South Korea, Lithuania, Indonesia, Qatar, Azerbaijan, Turkey, Serbia, Kazakhstan, Malaysia, Bhutan, Colombia, Argentina, Australia, Venezuela, United States, Germany, Brazil, Canada, Saudi Arabia, Russia, Taiwan, Poland, Egypt, Namibia, Nigeria, Sri Lanka, Kuwait, United Arab Emirates, Zimbabwe, Peru, Libya, Kenya, Slovakia, Ireland, Denmark, Israel, New Zealand, Japan, Yemen, Gabon, Costa Rica, Chile, Poland, Jordan, Pakistan, Portugal, Angola, Mongolia, Ecuador, Oman, Finland, Bulgaria, India, Thailand, Greece, Bahrain, Vietnam, Iran, Mexico, United Kingdom, Algeria, Hong Kong, Singapore, Philippines, Estonia. We are Suppliers of Inconel Alloy 625 Washers in India Such as Mumbai, Hyderabad, Singapore, Al Jubail, New Delhi, Ahmedabad, Al Khobar, Tehran, Ranchi, Santiago, Kolkata, Colombo, Thiruvananthapuram, Atyrau, La Victoria, Surat, Muscat, Ho Chi Minh City, Abu Dhabi, Navi Mumbai, Bhopal, Istanbul, Brisbane, Jaipur, Jakarta, Mumbai, Hanoi, Kuwait City, Perth, Geoje-si, Bangkok, Pune, Kuala Lumpur, Dammam, Faridabad, Port-of-Spain, Rio de Janeiro, Karachi, Milan, Ankara, Mexico City, Cairo, Dallas, Gurgaon, Aberdeen, Bengaluru, Pimpri-Chinchwad, Caracas, Granada, London, Houston, Sharjah, Madrid, Gimhae-si, Doha, Kanpur, Busan, Howrah, Nagpur, Toronto, Vadodara, Riyadh, Ernakulam, Sydney, Jeddah, Courbevoie, Coimbatore, Manama, Vung Tau, Ahvaz, Chiyoda, Calgary, Bogota, Hong Kong, Petaling Jaya, Montreal, Visakhapatnam, New York, Dubai, Los Angeles, Rajkot, Jamshedpur, Moscow, Thane, Lagos, Lahore, Ludhiana, Nashik, Edmonton, Chennai, Haryana, Algiers, Melbourne, Chandigarh, Seoul, Secunderabad, Indore, Noida, Baroda, Ulsan.